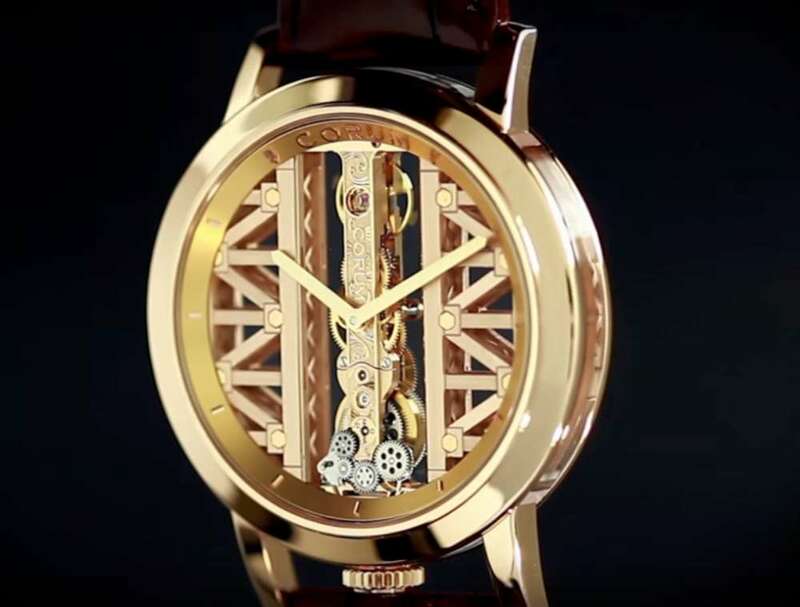 The Corum Golden Bridge Round is the brand’s latest version of its famous baguette movement. 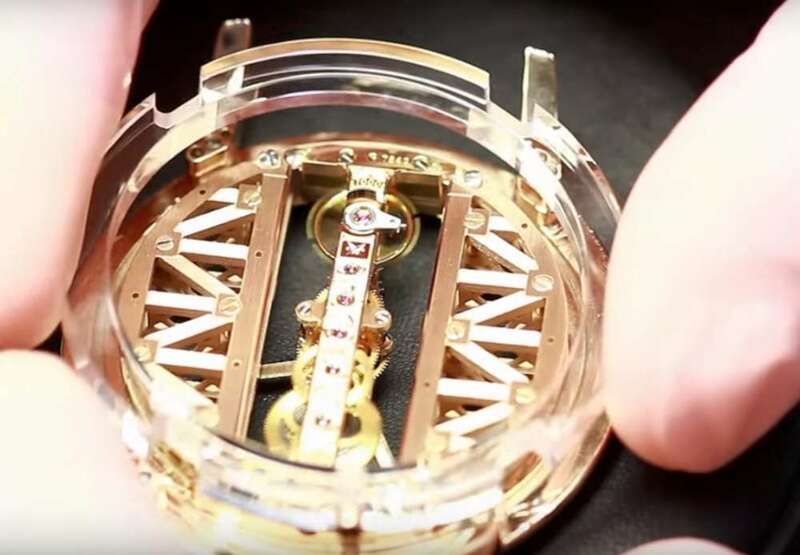 For the first time, it has a round case, in which the space on either side of the linear movement is filled by a lattice structure directly inspired by the Golden Gate Bridge in San Francisco. It is made in two versions, in pink gold, and in white gold with diamonds. That’s the story in brief. But of course, there’s much more. The story begins with a watchmaker, or rather a watchmaking artist. There are several examples in the watch industry of creators who doesn’t receive the public acclaim that they deserve, neither the material rewards for their inspirations. In this case, the artist is Vincent Calabrese, who invented the baguette movement – with all the components in line – in 1977. It was industrialized and put on the market by Corum in 1980. It is one of the most perfect and beautiful concepts in watchmaking. 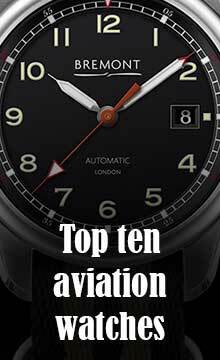 Born in Naples, Calabrese was expelled from school at the age of 12, became an apprentice to a local watch repair shop, and moved to Switzerland at the age of 17 where he worked for Tissot and Richard, before setting up his own business in Lausanne. He created his celebrated linear movement and presented it at the International Salon of Inventions in Geneva in 1977. It attracted attention from the Ries Bannwart watch company, founded by Gaston Ries and his nephew Renée Bannwart, based in La Chaux-de-Fonds and trading as Corum, and they launched it in 1980. Calabrese was unable to benefit from his invention, and continued his career as an independent watchmaker. Corum has always treated its Golden Bridge in a way that highlights its precious nature, using gold, and tonneau cases with sapphire watchglass and caseback to heighten the sense of suspension in space. Its visual delicacy makes it ideal as a women’s watch, but perhaps less suited to a tough masculine aesthetic. This year’s Golden Bridge Round perhaps reflects Corum’s desire to resolve this issue, with a circular 43 mm case, 8.8 mm thick (water resistance 3 bar), in which the baguette movement at the centre is flanked by the architectural latticework. The structure of the watch, designed by Dino Modolo, is enhanced by the extensive use of sapphire, for watchglass, caseback, and a circular caseband. The CO113 calibre, with mainplate and bridges in gold, and wheels in gold-plated brass, is manually wound, with a barrel with a slipping spring to prevent damage from overwinding. It runs at 28,800 vibrations per hour (4 Hertz) and has a power reserve of 40 hours. The watch is in pink gold, with black alligator leather strap and pink gold pin buckle. 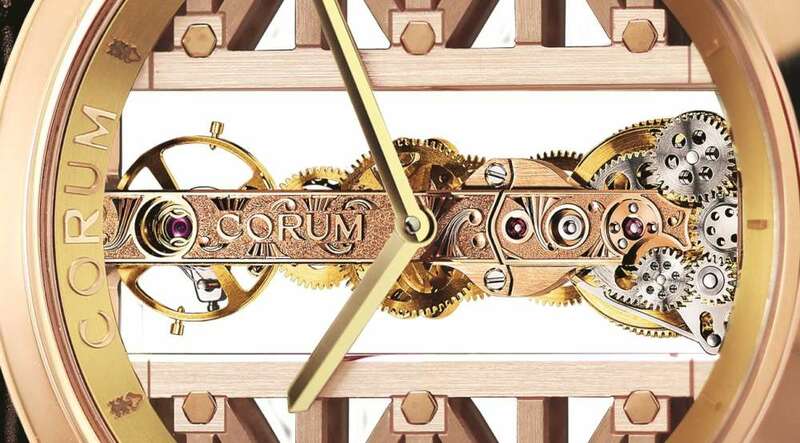 So in this model, Corum have replaced the empty space that enhanced the baguette movement in most of their Golden Bridge models, with a purely decorative latticework structure. While there’s nothing wrong with that, I still think that Corum still have to find the perfect expression for the Golden Bridge movement in a men’s watch. Personally I would love to see a version that’s more steampunk, with duller, engine-turned metal surfaces, more like a locomotive and less like jewellery. 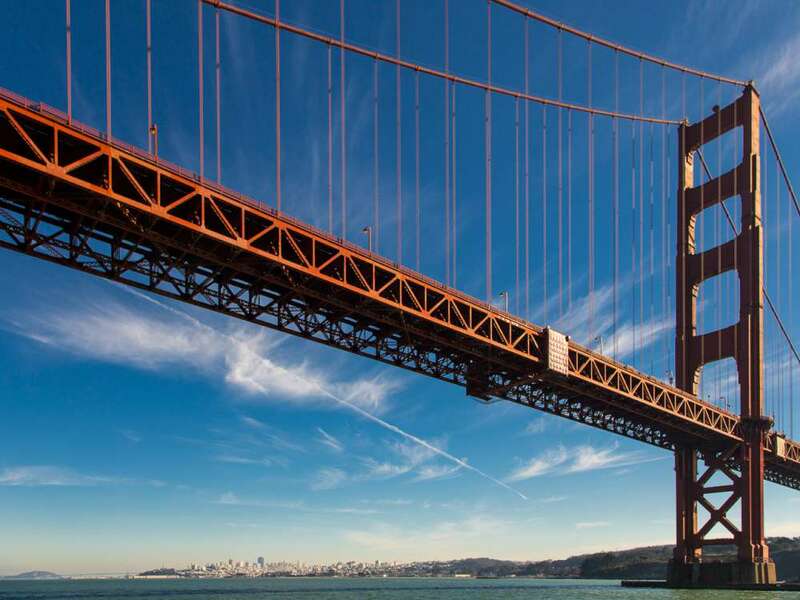 But it’s the Golden Bridge, and the brand seems to want to retain its core image of glittering yellow gold. 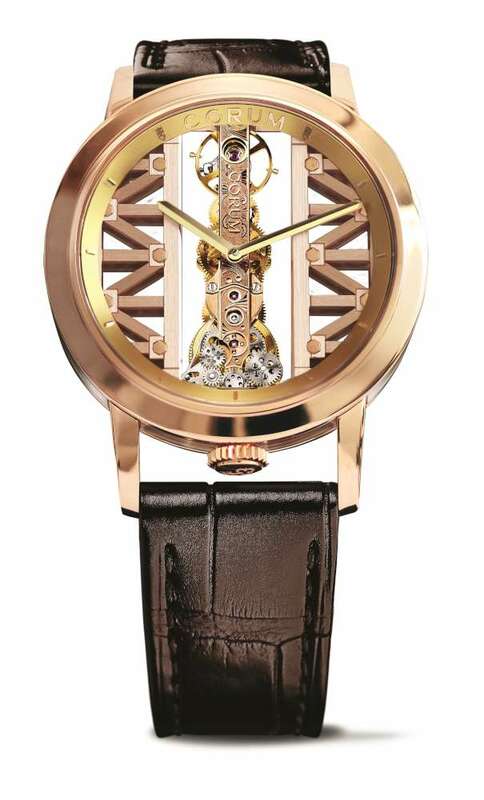 The Corum Golden Bridge Round in pink gold is reference B113/03010, price 45,000 Swiss francs,€45,900, $41,700. 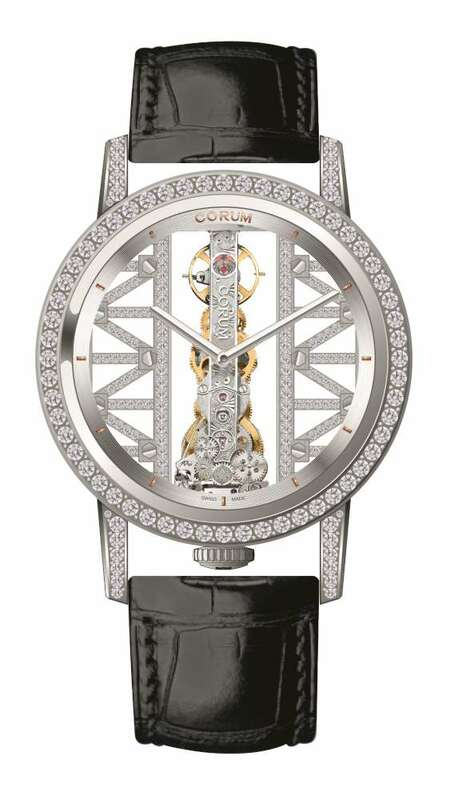 The watch is also made in a white gold version with diamonds, Corum Golden Bridge Round, reference B113/03043. It has a total of 84 diamonds, for a weight of 2.14 carats. Price €52,800, $48,000.